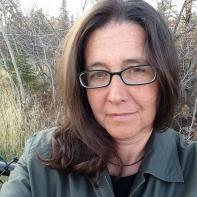 Michelle Matthees' poems have appeared in numerous journals, including Memorious, PANK, The Prose Poem Project, The Bellingham Review, J Journal, 22 Magazine, and the Baltimore Review. Last October New Rivers Press published her first book-length collection of poems, Flucht. She has received grants from the Minnesota State Arts Board, The Jerome Foundation, and other arts organizations.